A very special racing Allard has just come on the market. J2-1851, aka #15 is probably best known as the sister car to the famous West Coast racing J2-1850, aka #14 of owner Tom Carstens. You may recall that #14, as driven by Bill Pollack dominated pretty much every race it entered until it was nearly destroyed in a post-race demonstration lap at Pebble Beach in 1953. #15 was owned by Carstens racing partner Dave Fogg and you could say that Carstens drove for Fogg, just as Pollack raced for Carstens! 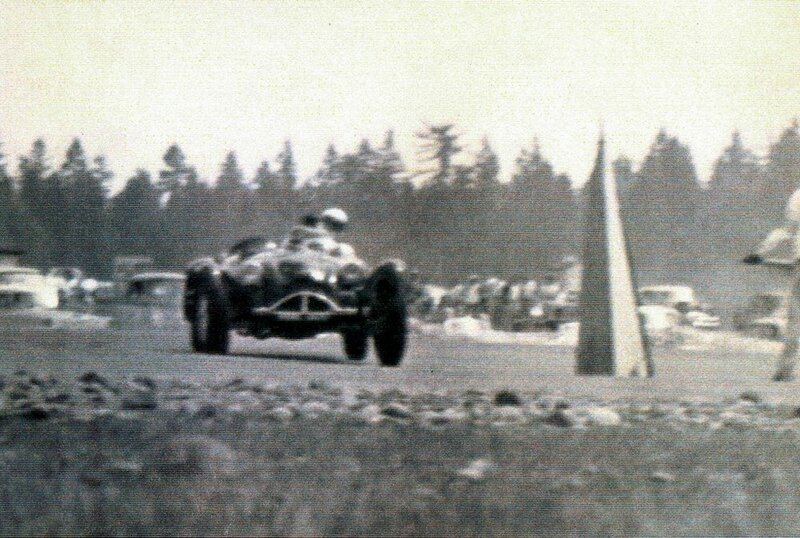 In fact, Carsten’s raced and won in 1851 (original configuration) at the Pebble Beach Novice Race in 1951. You could say things changed a bit for 1851 after the demise of 1850. Fogg and Carstens had learned a lot about the challenges brought about by front & rear suspensions of the J2, so they set about improving things with 1851. 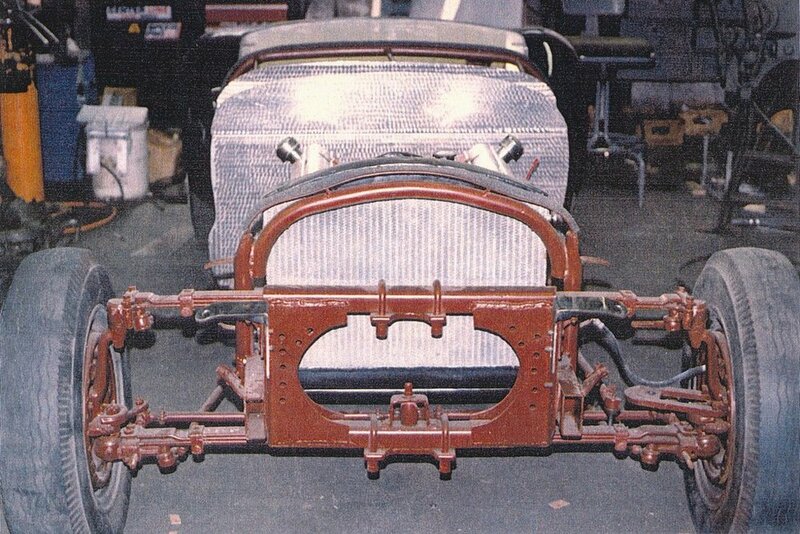 First off was the front suspension, which was converted to upper & lower transverse leaf springs, which eliminated the unfortunate variable wheelbase design of the J2. In the rear, the diagonal trailing arms were replaced with dual parallel trailing arms. The transmission was replaced with a nearly indestructible mid-30’s Cadillac LaSalle 3-speed…and then with a more competitive Jaguar 4-speed. The wheels were changed to Hallibrand’s. Finally, the most visible change was routing the exhausts out of the right side body cowell. 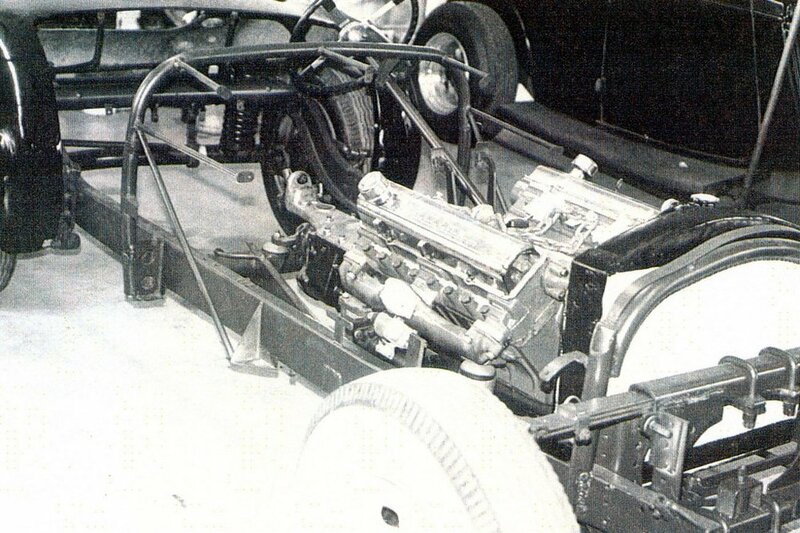 These modifications allowed #15 (at the hands of Carstens) to dominate club racetracks and hill climbs in the Pacific Northwest until 1958 when the car was sold. 1851 maintains all its unique features that made it so competitive, which isn’t surprising since it was restored by Tom Carstens and Dave Fogg! In case you were wondering, 1851 was ordered on December 19, 1950 and shipped on January 30, 1951. It was delivered to British Motor Car Sales in Washington. It was originally painted black with a red interior. 1851 was equipped with Cadillac engine mods, wire wheels, windshield, and top. The historic Allard is now being offered for $449,500 which is reasonable for a racing Allard with this pedigree. The original engine, complete documentation and comprehensive spares package are included. If you’d like to learn more about this car, contact Dobson Motorsports at 206-743-8525 or dominic@dobsonmotorsport.com. You can also visit their web site at http://dobsonmotorsport.com/car/1950-cadillac-allard-j2/. We hope the car finds a new owner with someone who exercises the car regularly on the racetrack…where it belongs! Click here to watch an interview on YouTube with Tom Carstens about #14 & #15. 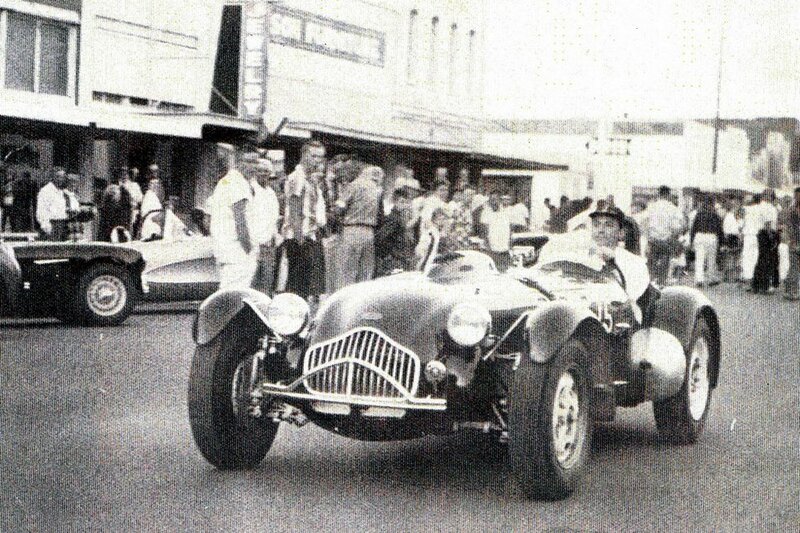 Click here to read about Dave Fogg's early years with #15; "First Remembrances of Allard"
Click here to read Dave Fogg's detailed review of the modifications to #15 (it's very interesting! ); "Much Modified Allard"
See below for a few old letters about 1851 from the Allard Register archives.